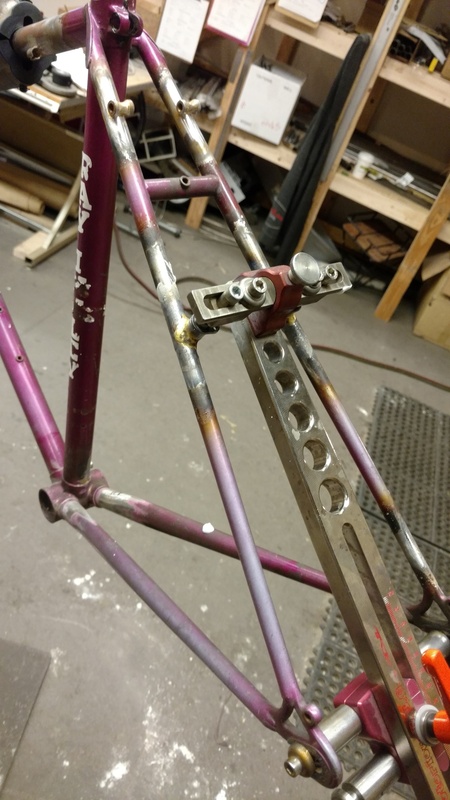 Semi-Custom builds can be anything from swapping out a few parts on your bike to make it fit better and maybe add a little style all the way up to helping you find an existing frame modifying it to meet your needs and getting it a new paint job, components and accessories and getting it build from the ground up! 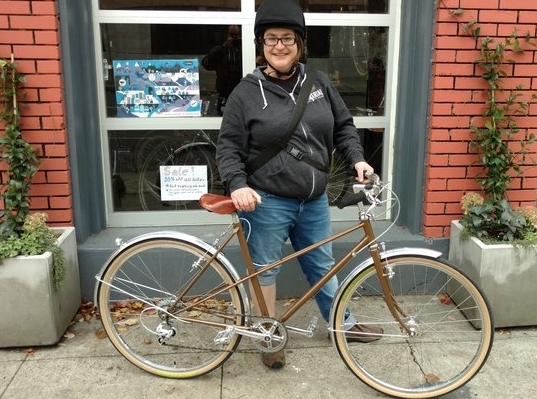 Cara is a friend of the shop and just happened to be looking for a bike right when i had a fun idea for a project. 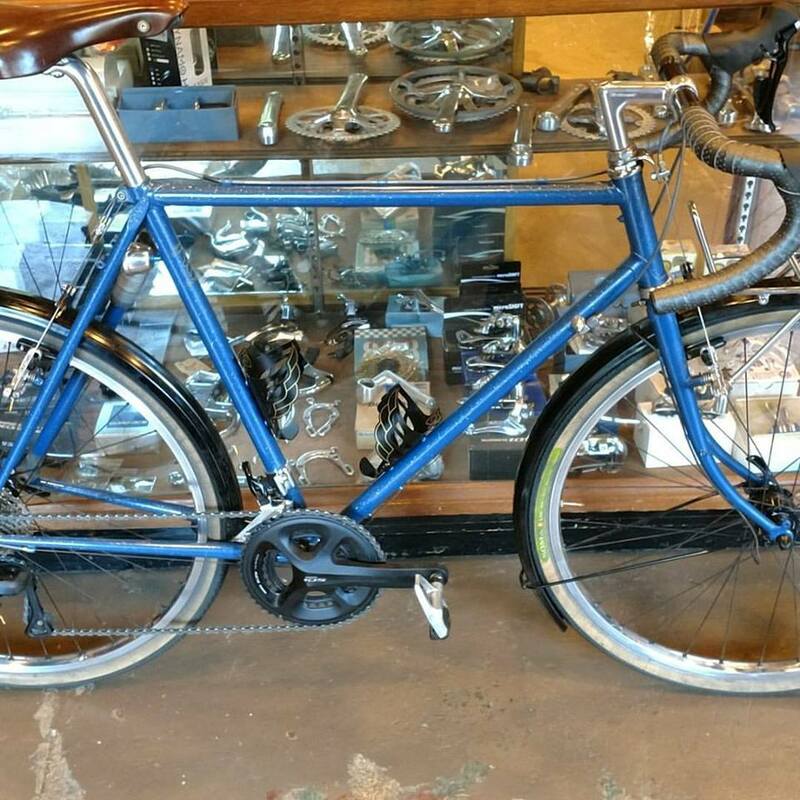 I bought this little Miyata mixtie off craigslist. It was all original and in pretty great low mileage shape. 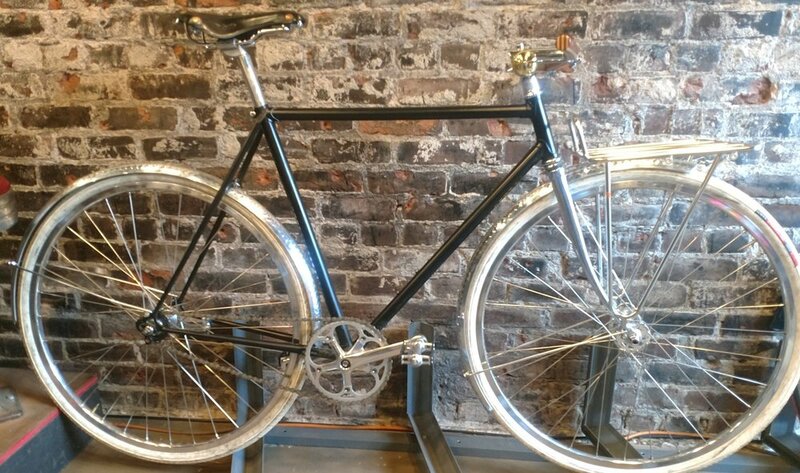 The bike was perfect other than having steel 27in wheels. I wanted to keep it as close to stock as possible with just a little bit of subtle modifications. Tricked out, but looking like it could have been a factory prototype. 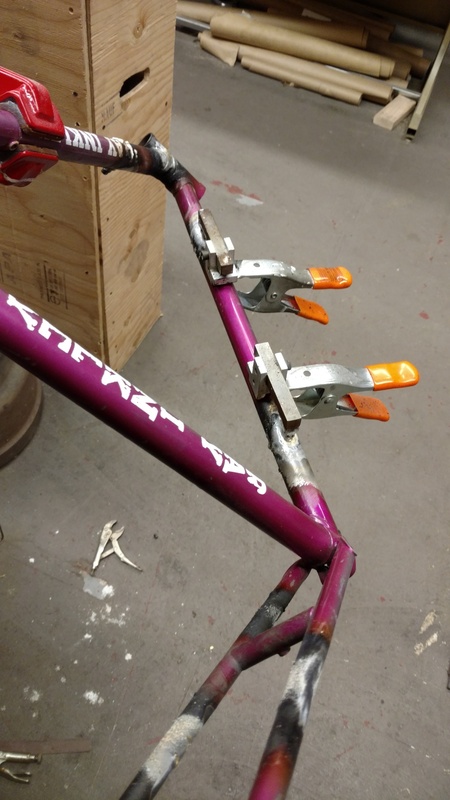 We started by adding cantilever brake bosses to switch it to 650b wheels, added a few other braze ons and prepped the frame for a new powder coat. 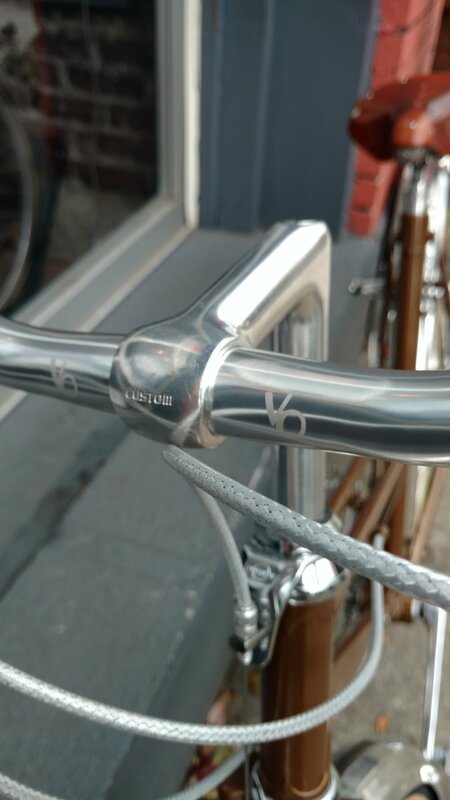 The custom details include modifying the cranks for a 1x6 drive train and then polishing them and the original seat-post. 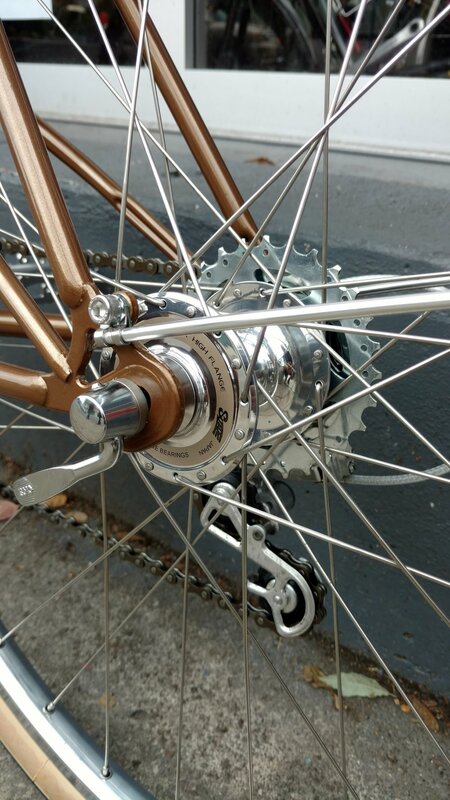 The wheels are handbuilt by Stoic Wheels with NOS 126 spaced hubs to Velo Orange rims 650b rims. 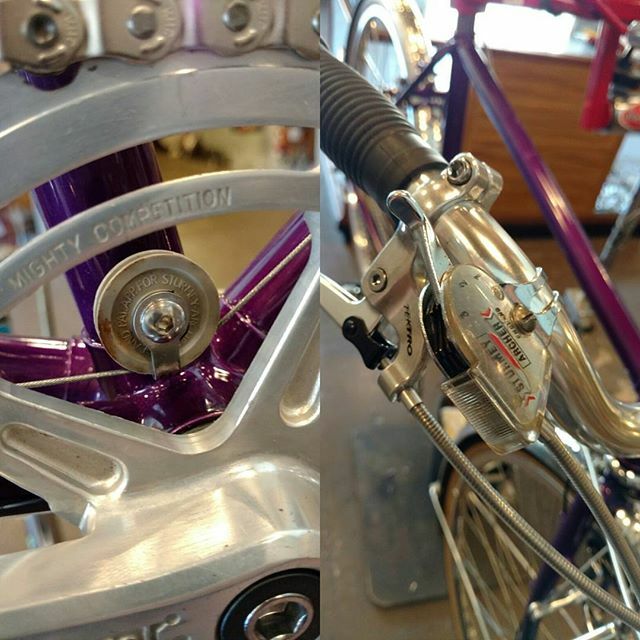 The modern, but classic looking Tektro brakes have the logos polished off, and the rest of the build is mostly made up of stock parts with a little Velo-Orange thrown in for modern functionality and accessibility with great classic looks. It came out pretty nice! 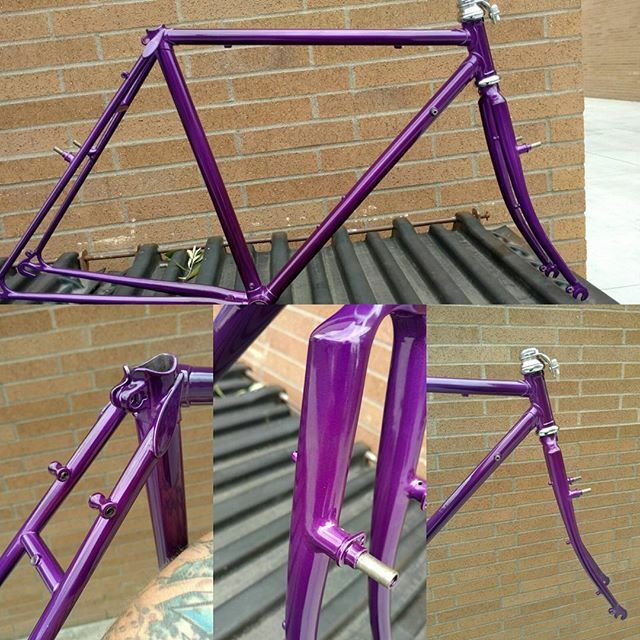 This frame started as a used hand made StarMichael Bowman 650b Randonneur frame set. Luke picked it up from us and we did a custom build up with some sweet Sun XCD components and other neat bits. We swapped out the StarMichael Bowman stickers out for a Norther Head badge and decals, and ordered him a custom handlebar bag! This is a great example of a simple Semi-Custom. 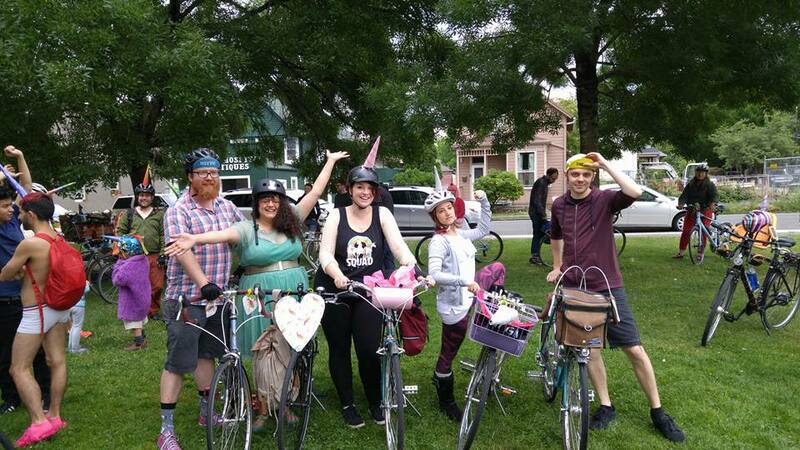 Anya had a few bikes, but none of them fit her well or made her happy. They were all either too uncomfortable, or too upright and slow. 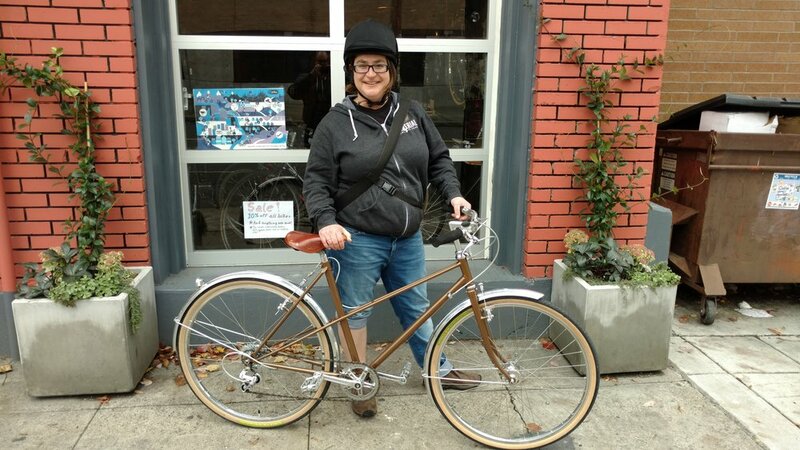 We helped her find the perfect bike then modified it with a new upright cockpit, cute tires, fenders and rear rack. It's more relaxed than aggressive road bikes, but much more sporty and quick than full upright Dutch style bikes. Just right. 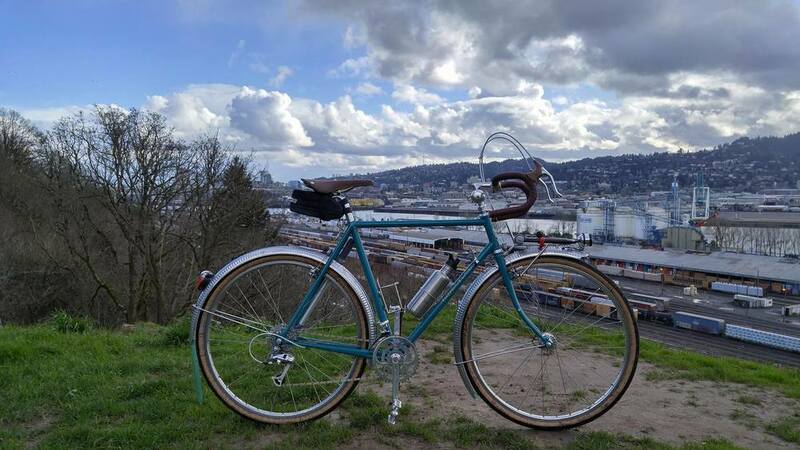 This bike didn't need any frame mods or fancy new paint to make her happy... although those things might be in store in the future, just for fun! 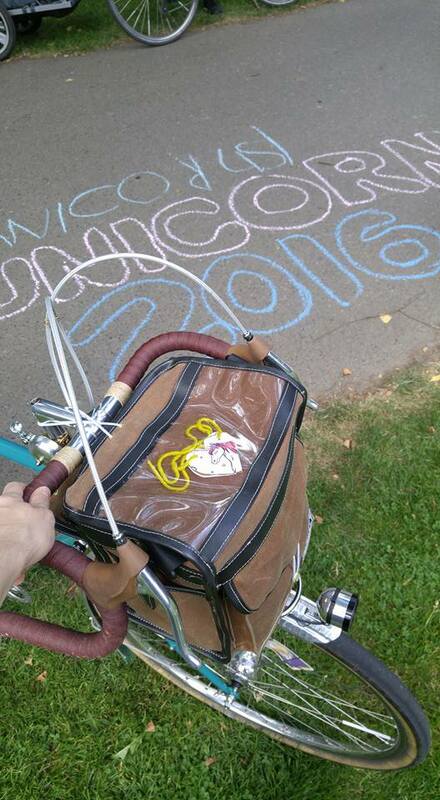 Chi Chi has had this bike forever, since before I met her over a decade ago. 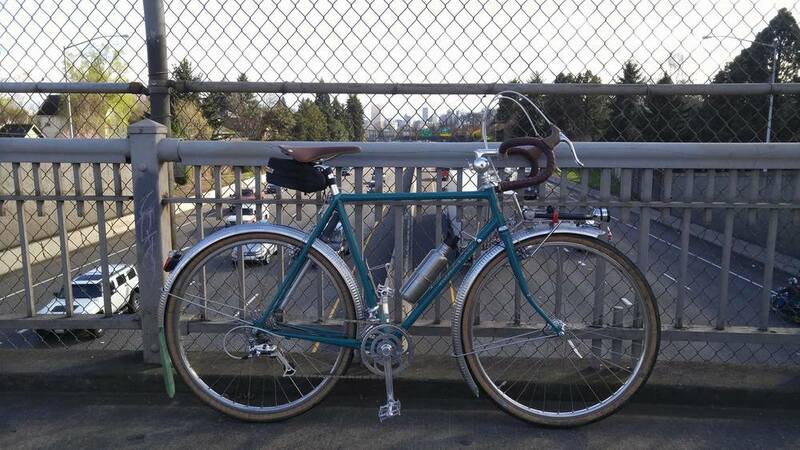 It's her family and needed to be saved after years of everyday commuting wear and tear. 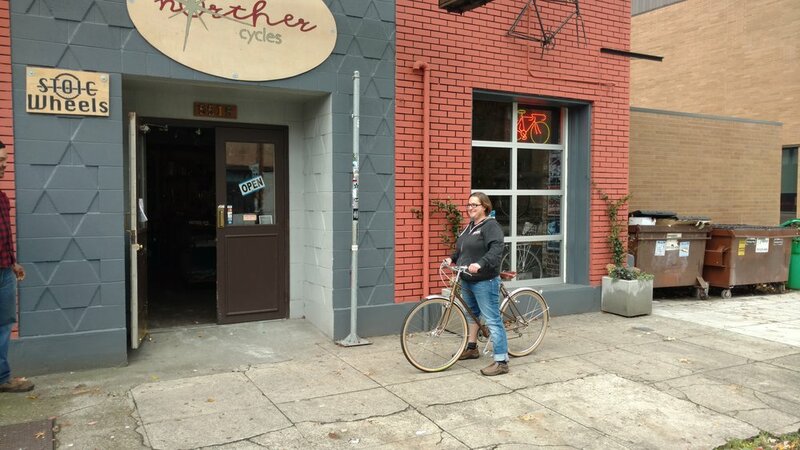 It's always been a little big for her too, and she's never used any of the original Cross bike braze ons as she uses it as a pass hunter style commuter with an old Sturmy Archer hub. 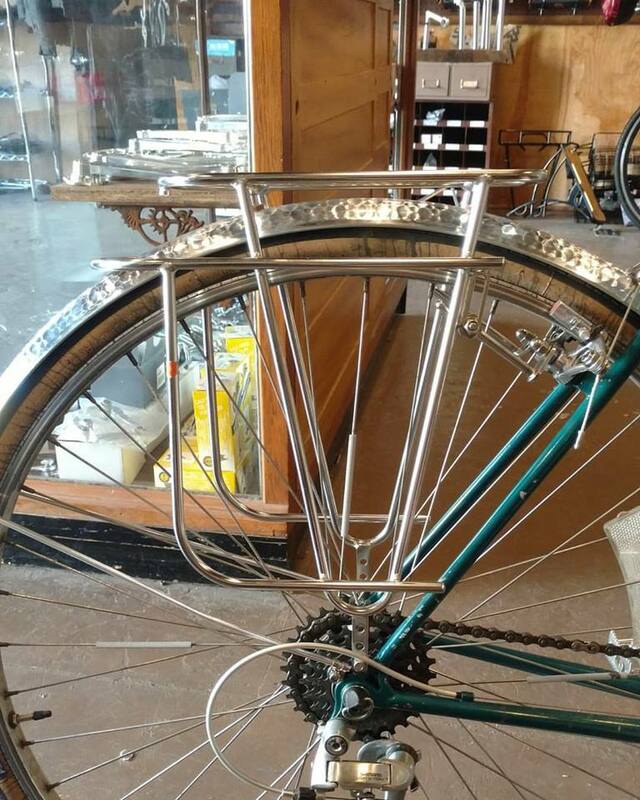 I removed all the old braze ons, and added new ones to make the bike work better for her. We moved the canti bosses from narrow 700c rims to wide 650b rims. And added a single shift boss and pulley boss to for the three speed shifter and cable. I also added a smattering of rack bosses and cable stops. 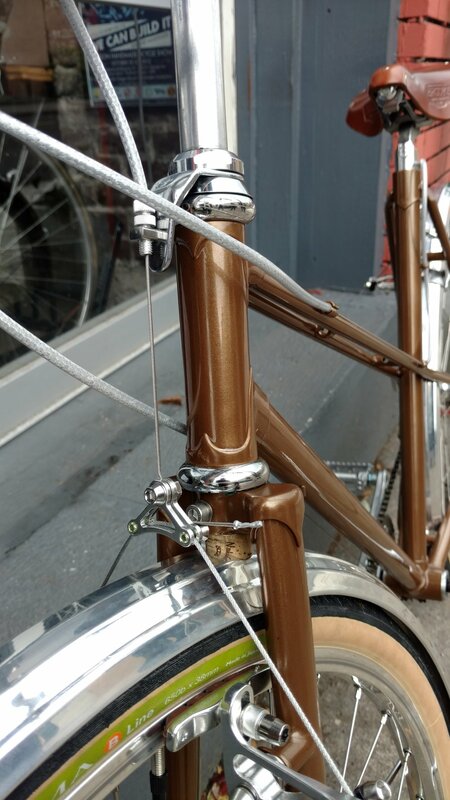 Next the frame was re-spaced from 130 to 126 for a three speed hub as well as getting a bridge and fender mount down by the bb shell, and wiring guides for a dynamo lighting system. 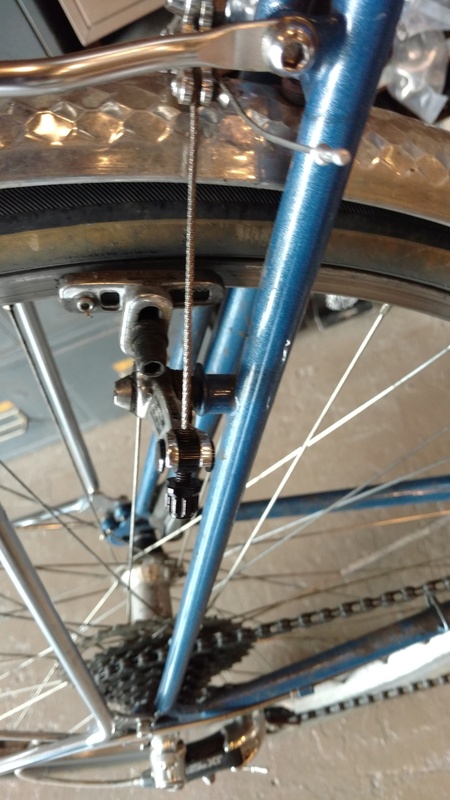 Kerrie had this Miyata 610 touring bike he loved, but it was a little worse for wear. 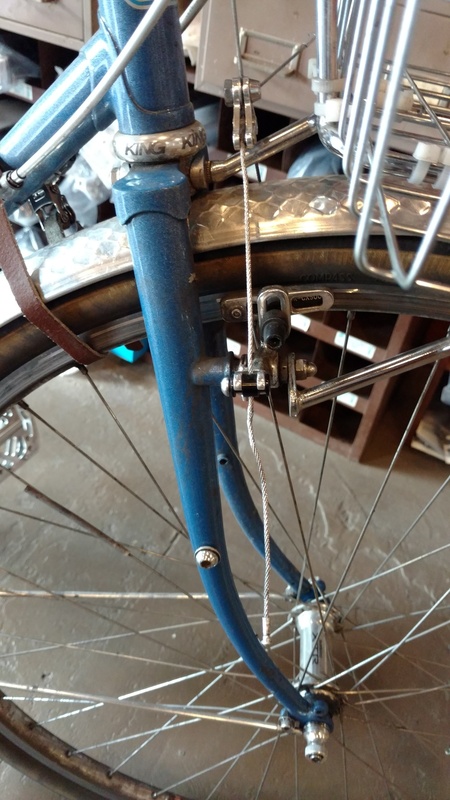 It had a broken chain slap guard, damaged top tube cable routing and canti studs placed placed much to narrow and for 27in wheels. It also ended up getting a crack in the top of the seat stay. We did it all to this bike, lot's of braze on changes a few repairs and then he got a new powder coat and some original decals off ebay! 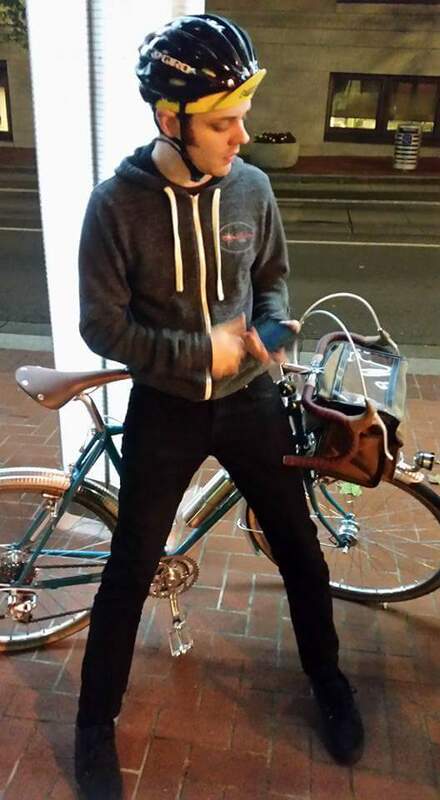 Now it's the sharpest Miyata ever! 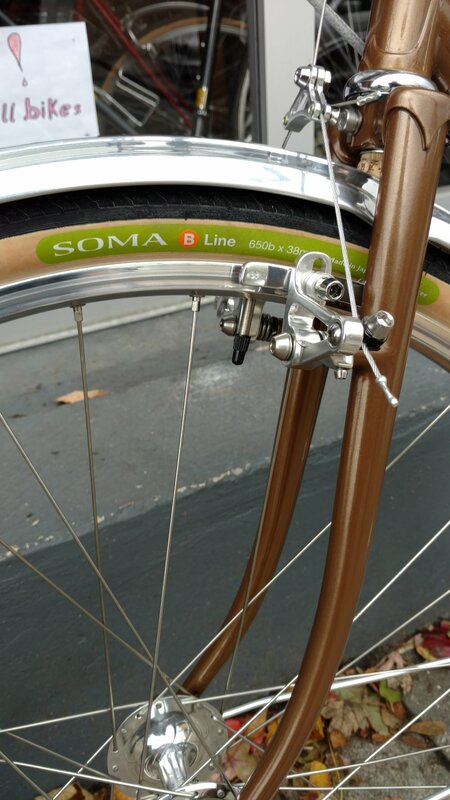 Check out these other semi customs we've done! All 650b modified vintage bikes.